Two of the biggest Christian Music Festivals in the country will hit Central Florida’s theme parks this weekend, as Disney and Universal goes head to head with their huge line ups. Night of Joy and Rock the Universe both will invade Disney and Universal (respectively) with massive lineups of the hottest Christian artists, fellowship, and of course community. While the two festivals both celebrate Christian Music, they both offer vastly different experiences. This year at Walt Disney World, Night of Joy is moving from the theme parks to a huge facility that is more suited for music. The ESPN Wide World of Sports Complex will play host to Night of Joy for 2016. Of course that means that you really have to be into the music, and not ditch your group leader to ride Space Mountain. There will be tons of interactive stations, food trucks and lots of places to hang out. There are also three separate venues to enjoy the music, both indoor and outdoor. While the lineup is stellar, you have to wonder if it’s the right move to put Night of Joy in an area that does not have rides. However, Magic Kingdom is doing Mickey’s Not So Scary Halloween Party at the moment, and last year’s venue, Disney’s Hollywood Studios, is just one large construction area at the moment. 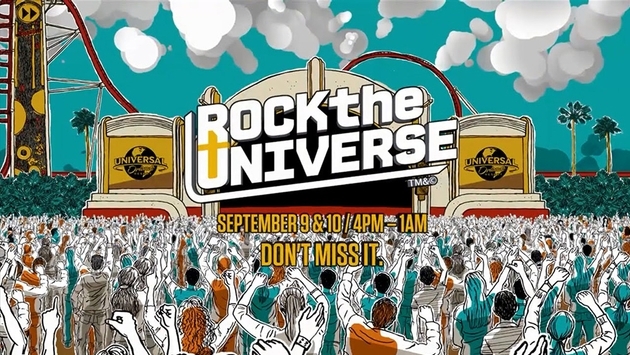 Meanwhile at Universal Studios Florida, Rock the Universe will take over the park both Friday and Saturday night, as they bring one of the biggest groups of Christian Rock in the world together. On top of the concerts, which are held right under Rip Ride Rockit, there will be the Coca Cola EDM Fanzone, and a moving Candlelighting ceremony on Saturday night. You’ll also be able to attend Sunday Morning Worship Service. On top of all the huge bands on the main stage, there will be three Fan Zone bands each night. 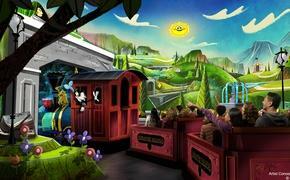 Plus, huge rides like Transformers, Minion Mayhem and tons more. While choosing between the two events might be hard, there are huge deals and packages that allow you to experience everything at both resorts, as well as major hotel deals. Rock the Universe and Night of Joy are both can’t-miss events for Christian Music fans.